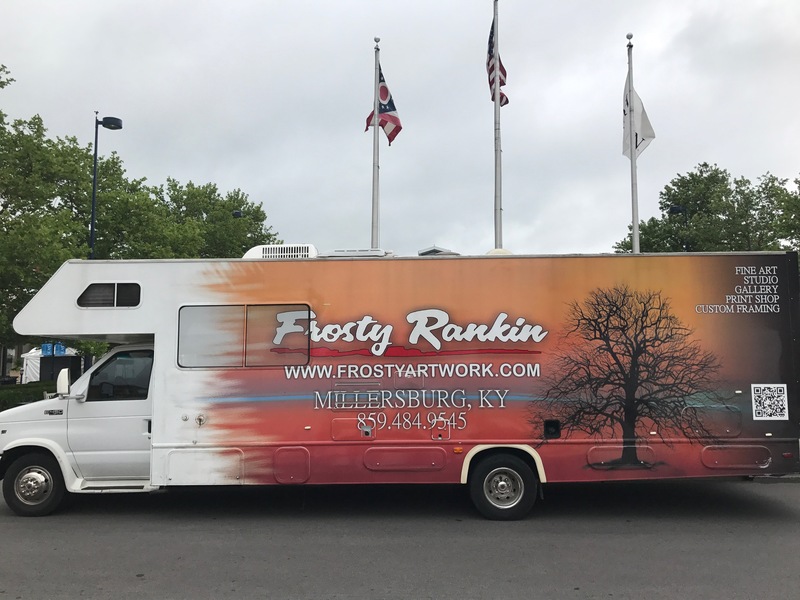 When Gaylen “Frosty” Rankin lost his job in the design and printing world, he decided to go back to his first love: art. He outfitted a truck and now travels the country. I caught up with him in Columbus, Ohio at a fair at Easton Mall and he gave me a glimpse of the pleasures, hardships and economics of taking your art on the road. Next Project entry # 16: Mary Lou baking 200 pies a week!